My nephew's high school team was state champions in Soccer this year. So exciting! Here are a few tags and a water bottle label that I created for snacks for the team for one of the regular season games. 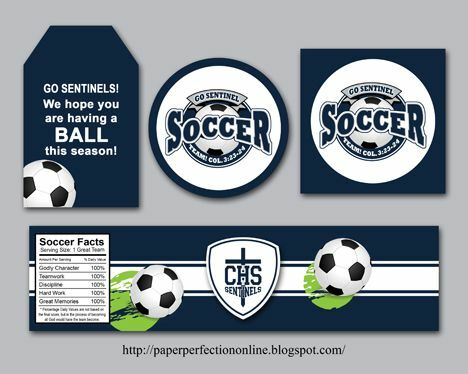 If you would like tags or water bottle labels for your child's team or school or custom items contact Paper Perfection at jtanddolly@yahoo.com for pricing and details.